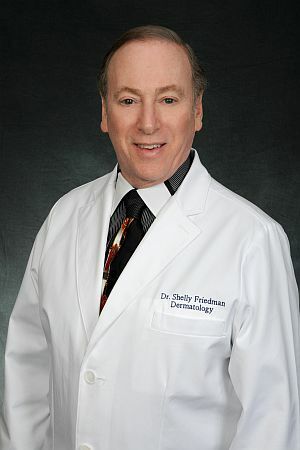 In Arizona, the name Dr. Shelly Friedman is synonymous with hair restoration. 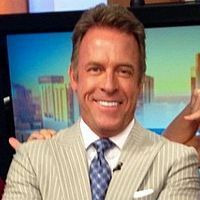 With 29 years of experience treating more than 16,000 patients, he has been called one of the top ten hair transplant doctors in the United States. With an amazing career, Dr. Friedman has counted Fortune 500 executives as his patients, he’s flown to a foreign land and performed hair transplant surgery on members of unnamed royal family, he has answered to the needs of famous sports figures, television and movie stars, and you may have even heard about his work on local celebrities such Good Morning Arizona television host, Scott Pasmore, with KTVK, Channel 3 in Phoenix, as well as one of the top radio personalities in the Phoenix metro area. Twenty-first century technology has changed our lives and it has also changed the field of hair restoration. These advancements have enabled Dr. Friedman to offer his patients a wider-range of hair loss treatment options. 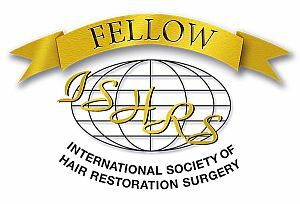 Hair transplant patients can now choose between the tried-and-true traditional strip-harvested follicular unit hair grafts, or they can opt for computer-controlled, robotic-assisted follicular unit extraction (FUE) with the ARTAS System from Restoration Robotics. This impressive new equipment offers many advantages including no linear scar graft harvesting as well as the ability to harvest more hair grafts than ever before. Whatever choice you make, you can feel comfortable knowing you made the right decision by choosing one of the most experienced, and best-rated hair transplant doctors in the country. The evolution in hair restoration technology is not limited to just surgical advancements. Depending on your type of hair loss, you may not even need surgery. In addition to topical and oral prescription treatments, which have been around for decades, the Scottsdale Institute offers FDA Cleared Low-Level Laser Therapy for proven hair loss prevention, as well as new hair growth in many of our LLLT patients. We packed this website with information but we also understand you will want to see our amazing results for yourself. That is why Dr. Friedman has assembled one of the largest hair transplant & hair restoration before and after photo galleries in the country. Whether you are a man or woman, hair restoration is a life-long investment in how you look. Don’t take chances by choosing the wrong doctor with less experience. Contact us today to learn how one of the best hair transplant doctors in the country can craft a hair restoration plan that can offer you results that are natural looking and undetectable for an affordable price. It’s the best thing I did. I am so happy with it and it just made me happy. It was painless and wasn’t a hassle at all. My brothers (who had the same temporal receding hairline he once did), are jealous. An informed decision is the best decision and Dr. Friedman wants every one who endures unwanted hair loss to have the information they need to treat it effectively. Lies, exaggerations, fake science, and bogus claims have polluted the internet, making it difficult to get to the truth. 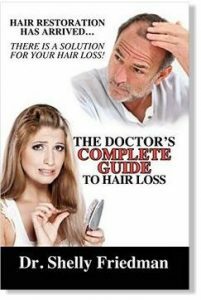 To guide men and women in the right direction, Dr. Friedman has taken the best of his 30-plus years as a dermatologist and hair restoration doctor and concentrated it down into an easy-to-read book, The Doctor’s Complete Guide to Hair Loss. From it, you will learn why we lose hair, how it is lost, how we can prevent it, and what we can do—surgically and non-surgically—to get it back. With over 100 illustrations and a straight-forward writing style, men and women can get to the truth, and avoid misinformation. Get your copy today from Amazon.com, $3.99 for Kindle readers.